His party, the Lib Dems were almost wiped out and went down to single figures losing 49 seats and leaving just 8 MP’s in parliament. The Labour party also had a bad night, almost being wiped out in Scotland, and losing 26 seats. However Labour still managed a 30% share of the popular vote despite pundits calling the election “too close to call” right up until the votes came rolling in for the Tories across England. The Lib Dems were never going to be forgiven by their core voters for joining the right-wing Tories instead of their natural cohorts, the left leaning Labour party, in a coalition. Many Tory back benchers were very unhappy at the unequal number of Lib Dem ministerial posts that were given out to their junior partners in the collation that was, as we were kept reminded, in “national interest”. 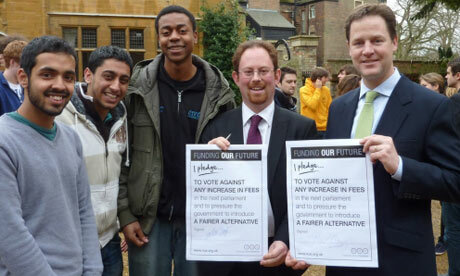 Maybe Nick Clegg saw joining the Tories as his only chance to get some modicum of power whilst he could. He must have known the writing was on the wall when he basically stuck two fingers up at his constituents and joined the Tories. Letting the banksters get off scot-free, supporting the Tories war on Libya and speaking out for Israel instead of condeming it when it attacked Gaza which was quite common to hear when they were the third-party with no expectation of favours for power. However the change in stance and policy to fit in with the Tories were just some of the things that annoyed grass root Lib Dem voters. He thought the electorate were willing to vote for constant coalition with a referendum on a change in voting but the country wasn’t ready for the watered down choice they had to make. Maybe if they had made their point after the recent election more people would have been willing to vote for a change. It does seem odd that Scotland’s 1.5 million voters can send 56 MPS to Westminster yet England can vote over 5 million to achieve just 2 MP’s. So now without the Lib Dem’s “Steadying Hand“, as one of their election adverts put it. There to prevent Labour spending all the cash again and there to prevent the Tories from being too mean, we are now left with an overall Conservative majority. Instead they get $1.9 billion fines in-case the banking system is “destabilised“. I don’t understand why their banking licence could have been kept whilst still jailing the bankers in control of the slush funds and drug cartel accounts as an example. London must continue to be the bankster capital of the world it seems. This won’t change under any Tory administration. Well let’s watch embarrassingly as our country, who actually came up with the European Convention on Human Rights, pulls out of the Human Rights Act. This is despite the fact that it was written by Conservatives after World War II to show the newly freed countries that some things related to a countries ethics and morals should be set in stone and not relative to a countries current situation. People don’t seem to realise that the Human Rights Act although abused by a small minority of terror suspects in jail or on control orders trying to prevent extradition to countries where they will be tortured – including the USA – is there to protect them as well. You may read the odd cherry picked Daily Mail horror story about the new Abu Hamza we can’t extradite to a country X or Y where they maybe tortured or executed. Why, because we have morals and see ourselves as a civilised country not a 7th century Islamic State where heads roll as often as the weapons we sell them are unboxed. Save £34 billion by not replacing Trident, the non independent nuclear deterrent. It really pisses me off when I hear MP’s call our rotating Trident submarines at sea an “independent” nuclear deterrent. This is because they all rely on US GPS satellite systems. Unless we put our own GPS system up into space we would always have to ask the permission of our US allies to fire any nuclear missiles anyway. Therefore it makes the whole system redundant. What if we had to go to war with the USA? Why not save the £34bn and spend it on the NHS instead. Nukes are not going to help in the war against terror and when China and the USA finally duke it out our piddly number of missiles is going to be inconsequential when it comes down to it. Satellites will be one of the first victims of any war between the US and China. Falling from the skies like rain drops in any major conflict as China and the USA race to become the superior technological and information power house before any real bullets or nukes are fired. As China showed the world in 2007 when it downed one of it’s own Satellites with weapons from earth, it is willing and able to take the modern battlefield that one step further and into space by making the US armies massive reliance on information and technology redundant. We seem to blindly follow US policy as if it’s our own. The wars in Iraq and Afghanistan have cost the UK £20bn by 2010 and the final cost when you add in extras such as the cost to society due to the fact that a large proportion of homeless people, those with mental health problems and prisoners are ex service men will increase that by the end of 2015. Add to that the £1.75bn cost of David Cameron’s war in Libya and the cost we are now dealing with due to the failed states we have created across North Africa, people smuggling into Europe, and increased security checks on immigrants due to fears ISIS is using people trafficking to implant sleeper cells in the country and the cost of recent wars reaches £12bn. This does not even include secret wars such as our involvement training fighters in Syria, Ukraine and Yemen. During 2010-11, the HMRC estimated that companies were avoiding tax worth £4.1bn however some campaigners such as Richard Murphy of Tax Research UK, think that the real figure could be £12bn or more. This is not even including the amounts of money “legally” avoided by our huge tax code that gives corporations such as Vodafone the means to avoid £6bn in tax during 2010, an act which spawned the anti-austerity protest group UK Uncut. 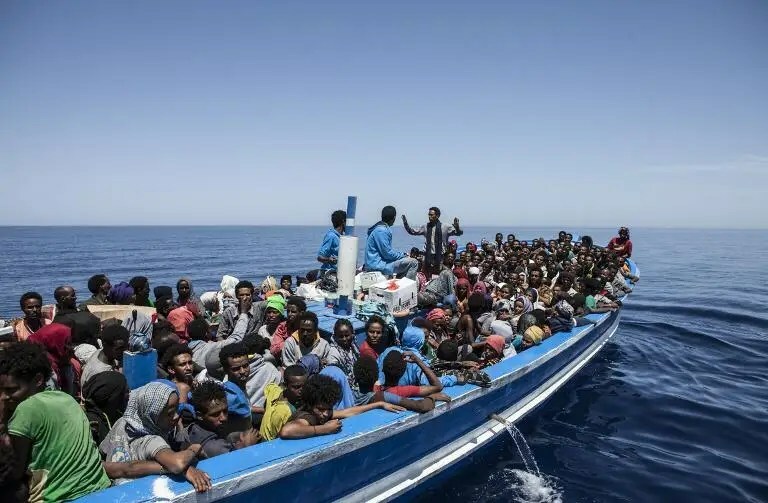 Has David Cameron even admitted that the hundreds of people dying in the Mediterranean are related to the failed states of Libya and it’s neighbours which we helped create. 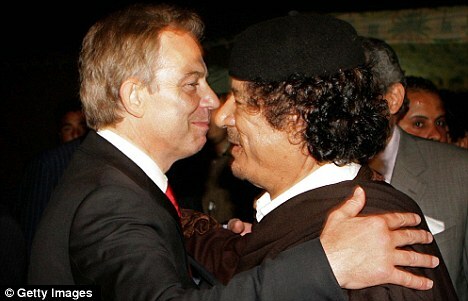 From Tony Blairs 2004 kiss with Gaddafi in the desert to blockades to prevent immigrants reaching Europe in two easy steps. The people who keep the lights on in London won’t even be able to afford to live in the city they work in due to the average house costing £350,000. Even in certain rich areas of London like Kensington, up to 70% of houses are classified as “Second Homes”. Even the local paper shops for the rich people of Chelsea are shutting down due to the influx of rich Chinese and Russians buying up our capital city. Instead the Tories will attack immigrants, benefit claimants, people who cannot get good jobs and rely on job seekers allowance and more diversionary tactics as they continue Maggie Thatcher’s dream of a total privatised country. We only have 5 more years until we get another chance to vote for a party to represent us. The problem is there doesn’t seem to be a party on the horizon I can see myself putting a cross against anytime soon. The Greens did well to get 1 million votes but with our current system of voting, one MP per million votes in England is not going to get us far and they still have an environmental edge that puts many off them despite the fact that if you read their manifesto there would be many aspects to it that you could find yourself agreeing with. Maybe it is just the fact that they are led by a woman and their only MP, Caroline Lucas from Brighton is a woman who puts many working class men off from voting for them. Personally this election, I did as I said I would and spoilt my ballot paper. This was because there was no-one on it that represented my views. I live in an area where Tories have always ruled and there is no chance of Labour or Lib Dems getting in instead. In one election in my ward Labour and the Lib Dems didn’t even try to contest the seat which allowed the racist BNP to come 2nd! I would still love to know how many people did write “None of the above” or spoilt their ballot in some way or another. If you took the effort and time out of your day to go and vote there should be a “None of the above” option by default to measure peoples dissatisfaction with local politicians or political parties. However because there isn’t we should create our own. Hopefully by the time of the next election a party which doesn’t represent the Axis of War, Austerity, Tax cuts for the rich and attacks on the poor will emerge, a bit like how the Unions created Labour. The only exception is that we don’t want to see our new party being taken away from us slowly and infiltrated by MI5 to ensure when it becomes electable it’s going to be “establishment ready” like MI5 asset Tony Blairs successful attempt to turn Labour from a real Left wing socialist party to Tories with northern accents. Basically anybody who doesn’t want to see the gap between the rich and poor get wider would be a perfect member or voter for such a Peoples Party. 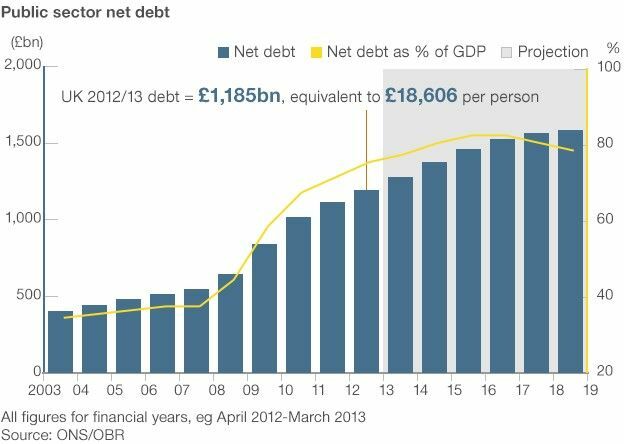 In the meantime let’s just hope we still have a public NHS, a decent benefit system and proper jobs with decent pay in 5 years time rather than another tripling of the National Debt and more lies about reducing our debt that the current Chancellor likes to spiel.